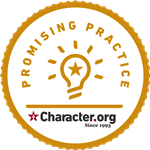 Sheril Morgan is the National Director of the Schools of Character programs for Character.org in Washington D.C. She works with public and private schools nationally and internationally helping them develop cultures of character. Sheril has been a public school educator with multiple levels of experience, Coordinator for Oklahoma Schools of Character, spoken at numerous State and National conferences, and served as Director of youth conferences and summits. Robert Greenlaw is the executive administrator and board assistant at Kimray at Kimray Inc. in Oklahoma City. Prior to joining Kimray in 2014, Robert was responsible for developing character education resources and training programs for schools, communities, and the ﻿workplace. As an international instructor, Robert has trained more than 30,000 educators in 18 countries how to use the Character First program and has personally taught the material to more than 70,000 children. Dewayne Pemberton is a retired professional public educator of 36 years. Beginning his career as a teacher and coach, he spent the last 26 years as a high school Principal. The Cooperative Council for Oklahoma School Administration named Mr. Pemberton their 2000 “Principal of the Year”. In 2011, he led Muskogee High School to become the first school in Oklahoma to be recognized by Character.org as a State and National School of Character. Dewayne was elected in November 2016 and now serves as State Senator for District 9 covering Muskogee and Cherokee Counties. Don Raleigh is in his ninth year as superintendent of Pryor Public Schools. As an educator for 29 years he has served in almost every role as a teacher, coach, and administrator. In his tenure at Pryor, 3 of his schools have been recognized as State and National Schools of Character since 2015. Don holds a M.S. in Curriculum and Instruction, a B.S. in Natural Sciences, and is currently working towards an Ed. D in Educational Leadership from Oklahoma State University. ﻿Madison Tomlinson has been the State Schools of Character Coordinator in Oklahoma for Character.org and OKCharacter.org since 2012. He retired after a long career as a professional educator who has been a classroom teacher, a high school Assistant Principal, and Director of Character Development for Muskogee Public Schools. Madison now works with a growing number of schools throughout Oklahoma to aid them in the process of becoming Schools of Character. Frank Keating is the Vice-Chairman of the Board of Directors for Character.org in Washington D.C. Mr. Keating was Governor of Oklahoma from 1995-2003 and recently retired as President and CEO of the American Bankers Association. Among multiple awards and honors Mr. Keating has been named the 2016 recipient of the American Patriot of Character Award joining past recipients such as General Colin Powell and Congressman John Lewis. Tom Hill is Chairman of the Board for Kimray, Inc., a manufacturer of oilfield equipment and controls based in Oklahoma City. Mr. Hill is also the Founder of Character First, a character-building program used in 28 countries and 10 languages. Among numerous awards, Mr. Hill received the 2009 George Washington Award from the Freedoms Foundation of Valley Forge, was the first recipient of the 2010 Oklahoma Ethics Pilot Award, and the 2012 Being a Difference Award from the NASBA Center for the Public Trust.